You will receive comprehensive instructions and be shown all the Safety features relating to your flight and you will be covered by Third Party insurance to a total of £4 million. 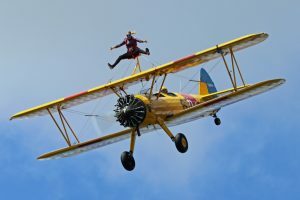 After a Briefing on instructions for your wing walk and risks associated with this experience, you will go for your flight that we think you and your spectators will thoroughly enjoy; this flight will consist of low level fly-pasts and steep climbs. 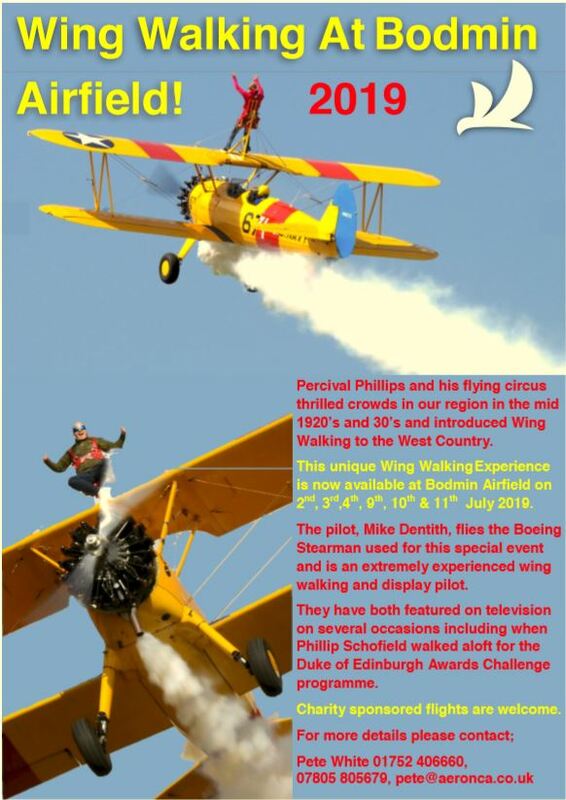 The chief pilot, Mike Dentith, has over 5000 flying hours and has performed at over 2000 Air displays over a period of 25 years and is amongst the most experienced Wing Walking pilots in the world. The participants’ names are required in advance so we can obtain the necessary permission from the CAA. 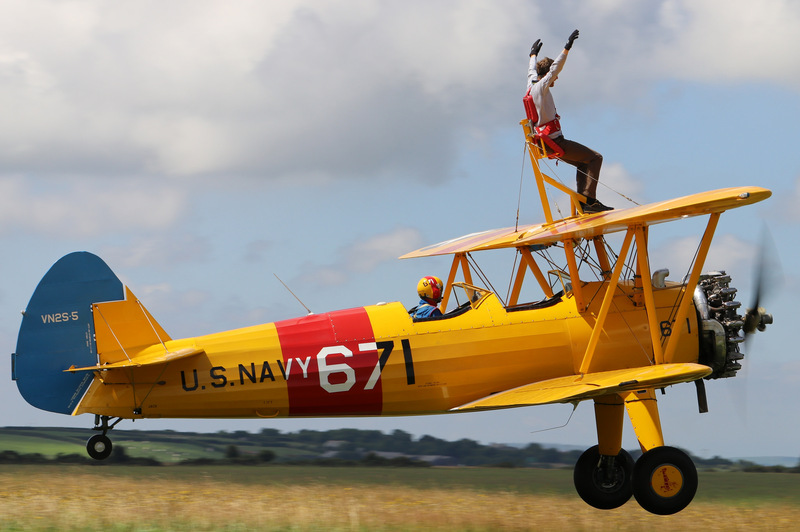 Once we have booked the Wing Walk and received a deposit payment of £50.00 (made out to Cornwall Flying Club Ltd – contact event organiser for direct bank payments), together with the completed Application form and a Physical Fitness form signed by the participant (bearing in mind the participant needs to be no more than 77kg/12st 2lb) we look forward to seeing you on the day of your Wing Walk. 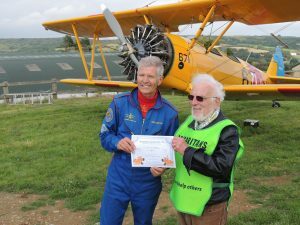 After the successful completion of your Wing Walking Experience you will receive a Certificate which will be signed by the pilot and with memories to take home that will last you for a life time. If the application is for a third party, please fill in the Application form on their behalf and let us have your contact details under “Name attached to payment” on the Application form. You will be able to film or photograph on the day. We have our own Bodmin Airfield photographer, who will be busy all day and he will pass the results to all of the participants. For an extra charge of £20, which can be settled on the day, a ‘Go Pro’ can fitted to record the flight for you. The flight itself takes about 15-20minutes which is long enough on the wing of an aircraft for the first time and we schedule the participants as they arrive on the day, unless you have a specific time which we will try and work to.